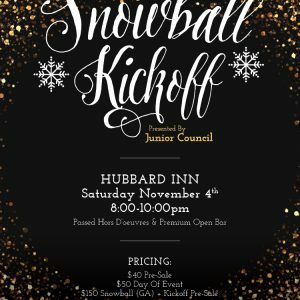 Get excited for Snowball at our Snowball 2018 Kickoff Party on Saturday, November 4th from 8 pm – 10 pm at one of Chicago’s hottest spots – Hubbard Inn. Your ticket will include a VIP cocktail reception, passed desserts and live music by one of Chicago’s best DJ’s. We are also providing you a chance to buy your Snowball ticket at a discount with our Snowball Ticket Package for $150 – that’s a $50 discount! This is a $200 value and only available until the Kickoff Party on November 4th. Kickoff Party tickets will sell out! Snowball ticket prices will increase on November 5th. Snowball prices will increase so don’t pass up this great deal! 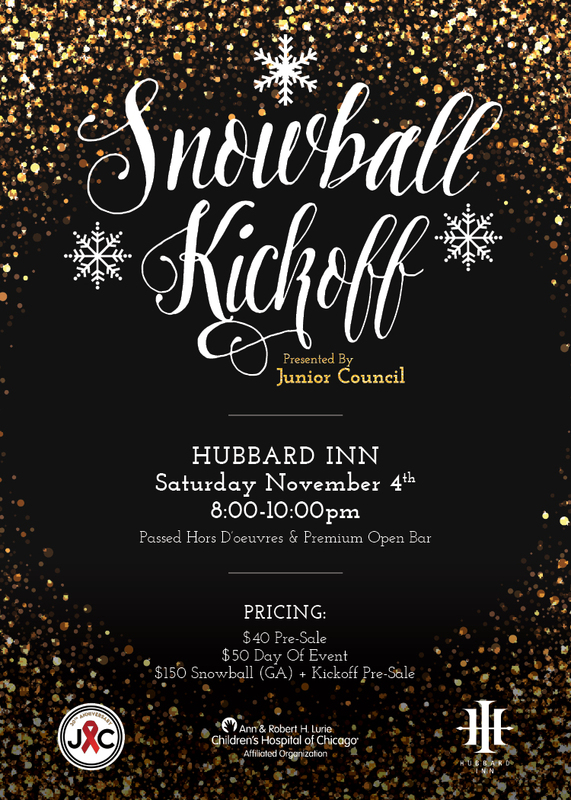 If you have any questions at all please contact Katie Heppard at snowball@juniorcouncil.org. Ticket proceeds to benefit the Junior Council.